He admitted that fact that England are favourites to win the series. Over the next month and a half, England will be in Sri Lanka to play five ODIs, one T20I and three Tests. The 50-overs tussle will commence on Wednesday. Ahead of the series, both England’s Jos Buttler and Sri Lanka’s skipper Dinesh Chandimal were present at the press conference to share their thoughts about the series. Buttler said that they were happy to go into the series as the favourites. He added that they have been playing well and further told that they are very aware of Sri Lanka’s quality in home conditions. The wicketkeeper-batsman concluded by saying that they were full of confidence and added that they are looking forward to the challenge. However, the Sri Lankan team is under the pump and are probably undergoing its worst phase at the moment. They were knocked out in the first round of the recently concluded Asia Cup. Hence, there is immense pressure on the team. But their skipper seemed to be confident about the team bouncing back. 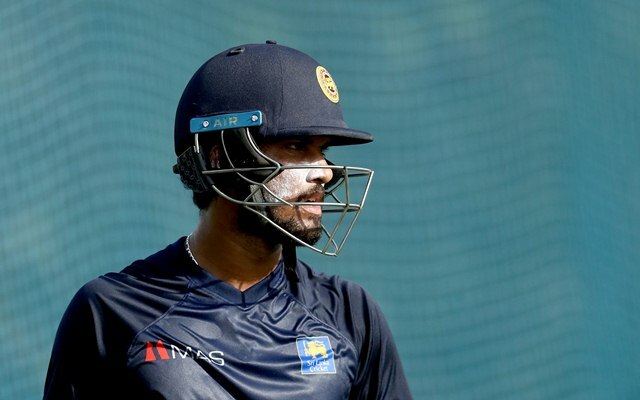 Sri Lankan skipper Dinesh Chandimal heaped a lot of praise on the current England team. He said that they were playing really well and added that the team has got a great experience. Further, he wants to beat the number one side in the world and hopes this will be a huge turning point ahead of World Cup 2019. He added that Sri Lanka’s situation is similar to what it was of England during the mega even three years ago. “That is the same thing happening to us at the moment. They changed that thing after the 2015 World Cup. That’s what we are looking at. If we can beat the number one side in the world in this series, that will be a great turning point going to the World Cup,” said Chandimal. Sri Lanka vs England, 1st ODI, Match Prediction: Who will win the match?